Also in the East countries like Zambia, Ethiopia, Tanzania, DRC, crushing business is booming these year. For the high demand for sand and gravel, the price is getting higher and higher. The quarry site host needn’t to worry about the sales of the gravel. All in all, crushing business has a promise future. Note: For road and building construction, the final size of the material is normally set at 0-1/4”, 1/4-1/2”, 1/2-3/4”, 3/4-1”, different size of gravel is sold at different price. 4. 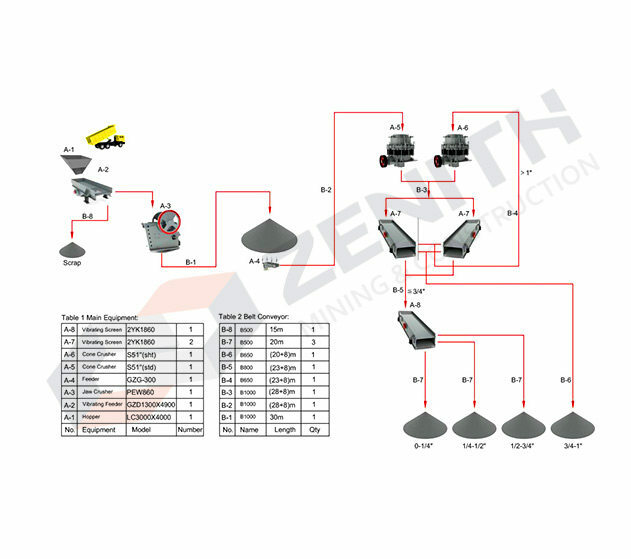 Flow chart and design for 200-250tph crushing plant. 1) High capacity. This plant can produce 200-250 tons gravel per hour, if the plant works 10 hours a day, so 2000-2500 tons gravel per day can largely satisfy the necessity. 3) Resident engineer and prompt after-sale service: we have our office set in Nairobi, Kenya, and we have experienced engineer there, who can provide prompt and good after-sales services for East Africa countries. 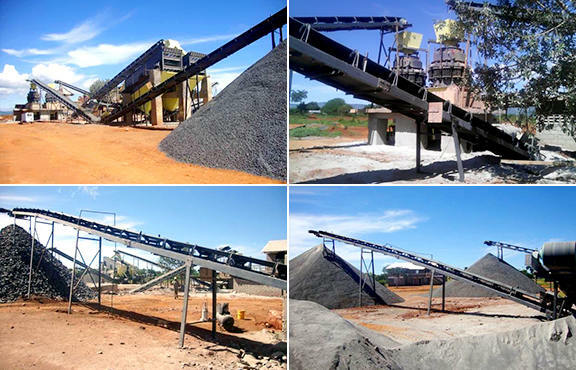 4) We Zenith have the right to make this crushing plant as our model plant in Kenya. The model plant has many advantages such as: we help you to advertise; we can send you some free spare parts; we can send engineer to your site help you with your maintenance and so on. Crush Rocks, Build Dreams——Please join hand with Zenith to build a better Kenya!